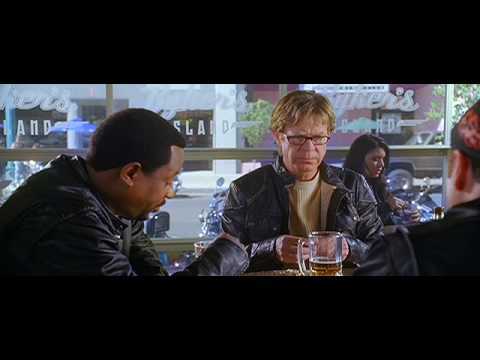 Tim Allen, John Travolta, Martin Lawrence and William H. Macy hit the road in this rollicking comedy-adventure about a group of middle-aged friends who decide to rev up their routine suburban lives with a freewheeling motorcycle trip. Taking a long dreamed-of breather from their stressful jobs and family responsibilities, they can't wait to feel the freedom of the open road. When this mis-matched foursome, who have grown far more used to the couch than the saddle, set out for this once-in-a-lifetime experience - they encounter a world that holds far more than they ever bargained for. The trip begins to challenge their wits and their luck, especially during a chance run-in with the Del Fuegos, a real-life biker gang who are less than amused with their novice approach. World Premiere on "Wild Hogs"